The one of best cable drum trailer manufacturer in Turkey. Cable Pulling Machines as well as cable drum trailers manufacturers are the talk of the town because of their several equipments and applications which are required in projects which are required for commercial as well as industrial purposes. 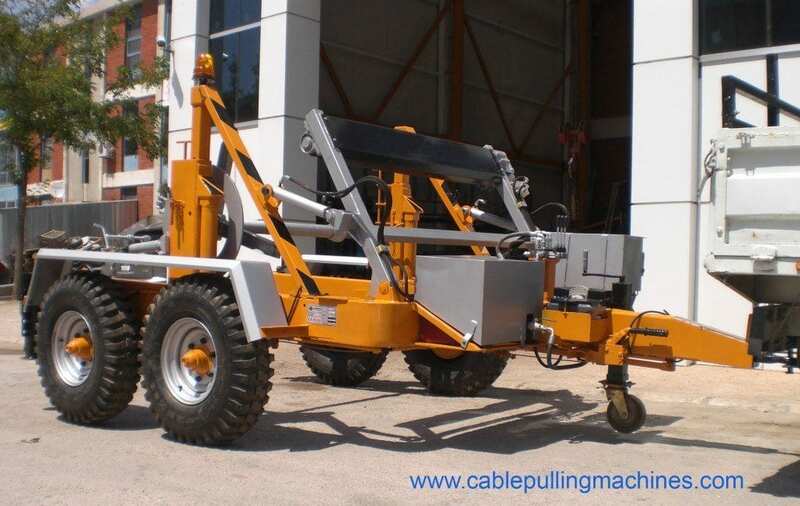 Cable Pulling machines have established themselves as one of the most reputed brands as a cable drum trailer manufacturer. We, as the cable drum trailers manufacturer, make sure that the trailer can carry various sizes of drums with cable wire. Our company comprises of a vast number of hydraulic as well as electric cable machines that help in smooth work flow and performance as well. 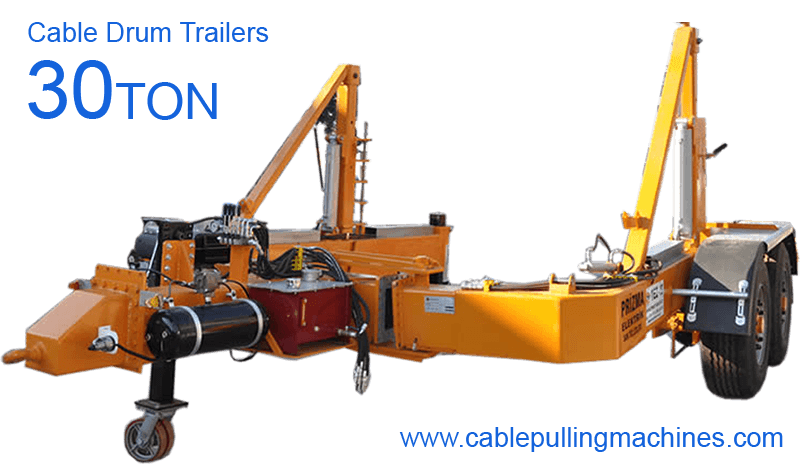 All our equipments are made with the latest updated technology and we as the Cable Drum Trailer Manufacturers definitelyfocuses on the best materials.You can shop for some of the best Cable drum trailers from our website. Our products are affordable, reliable, safe and good quality as well.Visit us if you are looking for good quality cable pulling equipments. Hydraulic cable drum strength is in vogue among all industries for its amazing strength, easy installation and trustworthy performance.It also has a long service life due to which it can be used for a long period of time without wearing out. Where is a hydraulic cable drum trailer mostly used? A hydraulic cable drum trailer is one of the most important accessories that are in demand by a number of people on project sites.They are useful to carry heavy loads as well as heavy cable drums from one part to another in a smooth manner without any kind of accidents or hassles.They are used in places like telecom industries, construction sites, on site and off site projects as well as electric supply places. Each hydraulic cable drum trailer has been designed in a specific manner so as to lift heavy loads and also unreel heavy copper cable wires seamlessly.Any kind of heavy load can easily be removed by the help of a single hand. Each trailer comprises of hydraulic hand jacks with single operable lifting cylinders as well as automatic reverse driving mechanism.It has a height adjustable support wheel along with a overrunning brake and a parking brake as well. We are one of the most trusted names in offering some of the best Hydraulic Cable Drum Trailers that is used for a variety of purposes inclusing loading and unloading of goods, transporting cable drums from one place to another and for unreeling of cable wires. Our professionals use the best kind of materials to design the trailers as per set industry standards. We have an entire range of Hydraulic Cable Drum Trailers that can be customized as per the requirements of the clients which are offered at very affordable prices as well.